ARRA Communications offer bespoke solutions encompassing broadband, communications, CCTV and automation. As a company, ARRA have worked on projects across government, the public sector and private commercial entities, naturally progressing into more specialised areas of the market with their experience of designing and building their own network. ARRA were looking for a solution that would enable them to communicate with single members as well as create and send bulk communications. The system would need to be able to support the team across all customer service messages. 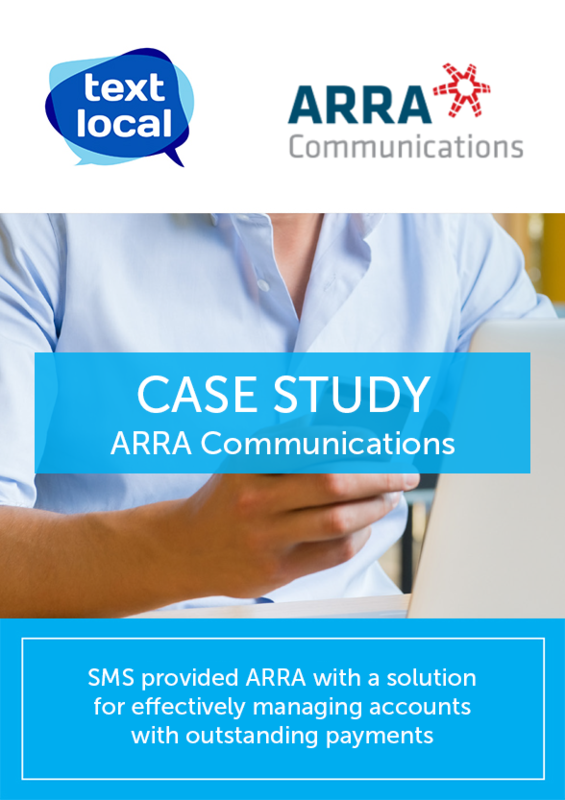 Textlocal’s SMS platform enabled ARRA to enhance their customer service communications across a number of applications. Through SMS, ARRA was able to assign tickets to customer issues raised, ensuring the customer is kept up to date on the progress of their ticket and impending solution. Similarly, the platform ensures staff can be proactive with customer alerts, providing an un-intrusive way of informing their customers about upcoming maintenance that may temporarily have an impact on connection whilst still relaying the message promptly. Using SMS provided ARRA with a solution for effectively managing accounts with outstanding payments. ARRA also found that Textlocal is very user-friendly across all levels of the system. ARRA work on a proactive rather than reactive basis, across all divisions, and Textlocal allows them to relay all messages to customers efficiently.